Joel William Burdett was born 24 Apr 2012, Shenandoah, Montgomery Co., Texas, USA; was christened 31 May 2012, Children's Memorial Hermann Hospital, Houston, Harris Co., Texas, USA; died 26 Jun 2012, Houston, Harris Co., Texas, USA; was buried 29 Jun 2012, Rosewood Cemetery, Porter, Montgomery Co., Texas, USA. 4. Francis Harrison Walker was born 2 Oct 1914, Minersville, Schuylkill Co., Pennsylvania, USA; was christened 14 Nov 1914, St. Paul's Episcopal Church, Minersville, Schuylkill Co., Pennsylvania, USA (son of Mark Henry Walker and Mary Ann Shone); died 30 May 1972, Philadelphia, Philadelphia Co., Pennsylvania, USA; was buried , St. John the Baptist Church Cemetery, Pottsville, Schuylkill Co., Pennsylvania, USA. 5. Kathryn Theresa Moran was born 17 Jun 1918, Tamaqua, Schuylkill Co., Pennsylvania, USA (daughter of Daniel Joseph Moran and Lena Caroline Krell); died 9 Dec 1960, Philadelphia, Philadelphia Co., Pennsylvania, USA; was buried , Holy Sepulchre Cemetery, Cheltenham, Montgomery Co., Pennsylvania, USA. Kenneth J. Walker was born 11 Feb 1944, Palmerton, Carbon Co., Pennsylvania, USA; died 30 Dec 2011, New Jersey, USA. 6. 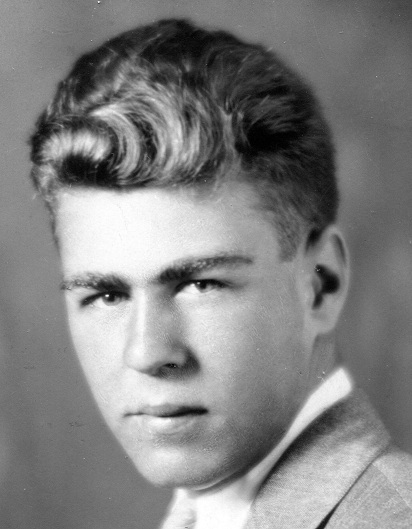 Vincent Edward Myers was born 7 Jun 1920, Allentown, Lehigh Co., Pennsylvania, USA (son of Archie Earl Myers and Hannah Allen); died 9 Sep 1986, Philadelphia, Philadelphia Co., Pennsylvania, USA; was buried , Westminster Cemetery, Bala Cynwyd, Montgomery Co., Pennsylvania, USA. 7. Florence Theresa Doyle was born 26 Jan 1922, Pittsburgh, Allegheny Co., Pennsylvania, USA (daughter of Edward Francis Doyle and Margaret Florence Kenney); died 8 Apr 2001, Philadelphia, Philadelphia Co., Pennsylvania, USA; was buried , Westminster Cemetery, Bala Cynwyd, Montgomery Co., Pennsylvania, USA. 8. Mark Henry Walker was born 15 Nov 1872, Avoca, Luzerne Co., Pennsylvania, USA (son of Mark Walker and Annie Brown); died 26 Nov 1923, Minersville, Schuylkill Co., Pennsylvania, USA; was buried , Prospect Hill Cemetery, Peckville, Lackawanna Co., Pennsylvania, USA. 9. Mary Ann Shone was born 17 Sep 1877, Upsall, North Yorkshire, England (daughter of Joseph Shone and Elizabeth Vasey); died 9 Apr 1938, Minersville, Schuylkill Co., Pennsylvania, USA; was buried , Prospect Hill Cemetery, Peckville, Lackawanna Co., Pennsylvania, USA. Mark Henry Walker, Jr. was born 29 Aug 1895, Peckville, Lackawanna Co., Pennsylvania, USA; died Dec 1976, Minersville, Schuylkill Co., Pennsylvania, USA; was buried , Mount Peace Cemetery, Minersville, Schuylkill Co., Pennsylvania, USA. Joseph Shone Walker was born 21 Jan 1899, Marcy, Luzerne Co., Pennsylvania, USA; died 29 Mar 1958, Pottsville, Schuylkill Co., Pennsylvania, USA; was buried , Chales Baber Cemetery, Pottsville, Schuylkill Co., Pennsylvania, USA. Lillian Elizabeth Walker was born 6 Mar 1899, Avoca, Luzerne Co., Pennsylvania, USA; died 5 Nov 1966, Minersville, Schuylkill Co., Pennsylvania, USA; was buried , Mount Peace Cemetery, Minersville, Schuylkill Co., Pennsylvania, USA. Margaret Helen Walker was born 7 Dec 1901, Pittston, Luzerne Co., Pennsylvania, USA; died 4 Mar 1979, Pottsville, Schuylkill Co., Pennsylvania, USA; was buried , Mount Peace Cemetery, Minersville, Schuylkill Co., Pennsylvania, USA. William Vincent Walker was born 22 Dec 1903, Pittston, Luzerne Co., Pennsylvania, USA; died Jun 1985, Schuylkill Co., Pennsylvania, USA. Edward Arthur Walker was born 12 Apr 1905, West Pittston, Luzerne Co., Pennsylvania, USA; died 11 Mar 1906, West Pittston, Luzerne Co., Pennsylvania, USA; was buried , Prospect Hill Cemetery, Peckville, Lackawanna Co., Pennsylvania, USA. James Wilson Walker was born 12 Apr 1906, West Pittston, Luzerne Co., Pennsylvania, USA; died 23 Dec 1968, Key West, Monroe Co., Florida, USA; was buried , Mount Peace Cemetery, Minersville, Schuylkill Co., Pennsylvania, USA. Mary Jane Walker was born 23 Oct 1908, West Pittston, Luzerne Co., Pennsylvania, USA; died 17 Jul 1909, West Pittston, Luzerne Co., Pennsylvania, USA; was buried , Prospect Hill Cemetery, Peckville, Lackawanna Co., Pennsylvania, USA. Elmer Straub Walker was born 13 Feb 1910, Cass, Schuylkill Co., Pennsylvania, USA; was christened 16 Aug 1913, Schuylkill Co., Pennsylvania, USA; died Aug 1986, Pottsville, Schuylkill Co., Pennsylvania, USA; was buried , Outwood Lutheran Cemetery, Pine Grove, Schuylkill Co., Pennsylvania, USA. Chester Arthur Walker was born 23 May 1913, Minersville, Schuylkill Co., Pennsylvania, USA; was christened 16 Aug 1913, Schuylkill Co., Pennsylvania, USA; died 16 Oct 1913, Minersville, Schuylkill Co., Pennsylvania, USA; was buried , Methodist Cemetery, Minersville, Schuylkill Co., Pennsylvania, USA. 4. Francis Harrison Walker was born 2 Oct 1914, Minersville, Schuylkill Co., Pennsylvania, USA; was christened 14 Nov 1914, St. Paul's Episcopal Church, Minersville, Schuylkill Co., Pennsylvania, USA; died 30 May 1972, Philadelphia, Philadelphia Co., Pennsylvania, USA; was buried , St. John the Baptist Church Cemetery, Pottsville, Schuylkill Co., Pennsylvania, USA. 10. Daniel Joseph Moran was born 4 Jan 1888, Silver Creek, Schuylkill Co., Pennsylvania, USA (son of John J. Moran and Agnes McMullen); died 25 Apr 1946, Coaldale, Schuylkill Co., Pennsylvania, USA; was buried , Saint Jeromes New Roman Cemetery, Tamaqua, Schuylkill Co., Pennsylvania, USA. 11. Lena Caroline Krell was born 15 Nov 1889, Tamaqua, Schuylkill Co., Pennsylvania, USA; was christened 5 Jan 1890, St. John's Evangelical Lutheren Church, Tamaqua, Schuylkill Co., Pennsylvania, USA (daughter of William Valentin Krell and Susanna Kraus); died 11 Jun 1969, Philadelphia, Philadelphia Co., Pennsylvania, USA; was buried , Saint Jeromes New Roman Cemetery, Tamaqua, Schuylkill Co., Pennsylvania, USA. John J. Moran was born 1914, Tamaqua, Schuylkill Co., Pennsylvania, USA; died Bef 1976. 5. 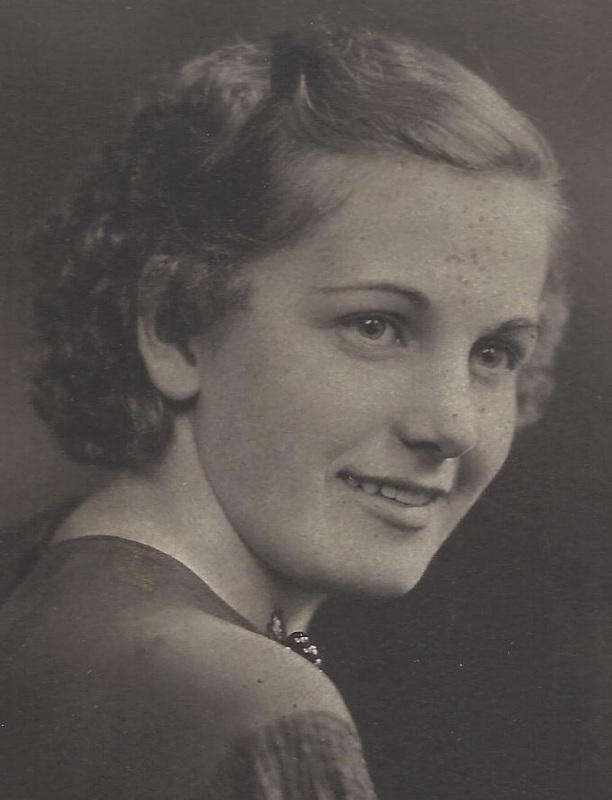 Kathryn Theresa Moran was born 17 Jun 1918, Tamaqua, Schuylkill Co., Pennsylvania, USA; died 9 Dec 1960, Philadelphia, Philadelphia Co., Pennsylvania, USA; was buried , Holy Sepulchre Cemetery, Cheltenham, Montgomery Co., Pennsylvania, USA. William Joseph Moran was born 24 Nov 1921, Tamaqua, Schuylkill Co., Pennsylvania, USA; died 1 Jan 1990, Hamilton, Butler Co., Ohio, USA; was buried , Graceland Memorial Gardens, Milford, Clermont Co., Ohio, USA. 12. Archie Earl Myers was born 27 Sep 1896, Plumstead, Bucks Co., Pennsylvania, USA (son of Abraham Overholt Myers and Charlotte Fryling Buehrle); died 9 Sep 1956, Philadelphia, Philadelphia Co., Pennsylvania, USA; was buried , Holy Sepulchre Cemetery, Cheltenham, Montgomery Co., Pennsylvania, USA. 13. Hannah Allen was born 20 Mar 1895, Phillipsburg, Warren Co., New Jersey, USA (daughter of John William Allen and Grace Campbell); died 17 Jun 1973, Philadelphia, Philadelphia Co., Pennsylvania, USA; was buried , Holy Sepulchre Cemetery, Cheltenham, Montgomery Co., Pennsylvania, USA. 6. Vincent Edward Myers was born 7 Jun 1920, Allentown, Lehigh Co., Pennsylvania, USA; died 9 Sep 1986, Philadelphia, Philadelphia Co., Pennsylvania, USA; was buried , Westminster Cemetery, Bala Cynwyd, Montgomery Co., Pennsylvania, USA. William Charles Myers was born 21 Jul 1921, Allentown, Lehigh Co., Pennsylvania, USA; died 2 Apr 1974, Philadelphia, Philadelphia Co., Pennsylvania, USA; was buried , Holy Sepulchre Cemetery, Cheltenham, Montgomery Co., Pennsylvania, USA. Charlotte Myers was born 19 May 1922, Pennsylvania, USA. Grace Catherine Myers was born 21 May 1923, Allentown, Lehigh Co., Pennsylvania, USA; died 27 Jun 2001, Florence, Burlington Co., New Jersey, USA; was buried , Odd Fellows Cemetery and Mausoleum, Burlington, Burlington Co., New Jersey, USA. 14. Edward Francis Doyle was born 15 May 1899, Philadelphia, Philadelphia Co., Pennsylvania, USA (son of Edward Doyle and Ellen Loughran); died 20 Dec 1942, Philadelphia, Philadelphia Co., Pennsylvania, USA; was buried , Holy Sepulchre Cemetery, Cheltenham, Montgomery Co., Pennsylvania, USA. 15. Margaret Florence Kenney was born 27 Jul 1904, Pittsburgh, Allegheny Co., Pennsylvania, USA (daughter of James Colin Kenney and Laura Gallagher); died 11 Aug 1986, Philadelphia, Philadelphia Co., Pennsylvania, USA; was buried , Holy Sepulchre Cemetery, Cheltenham, Montgomery Co., Pennsylvania, USA. 7. Florence Theresa Doyle was born 26 Jan 1922, Pittsburgh, Allegheny Co., Pennsylvania, USA; died 8 Apr 2001, Philadelphia, Philadelphia Co., Pennsylvania, USA; was buried , Westminster Cemetery, Bala Cynwyd, Montgomery Co., Pennsylvania, USA. Edward James Doyle was born 4 May 1924, Pennsylvania, USA; died 16 Jul 1994, Philadelphia, Philadelphia Co., Pennsylvania, USA. Laura Alice Doyle was born 7 Apr 1927, Pittsburgh, Allegheny Co., Pennsylvania, USA; died 20 Oct 1994. Donald Patrick Doyle was born 21 Feb 1930, Penn Hills, Allegheny Co., Pennsylvania, USA; died 31 Aug 2007, Vineland, Cumberland Co., New Jersey, USA. Eileen M. Doyle was born 14 Apr 1932; died 26 Jul 2012, Philadelphia, Philadelphia Co., Pennsylvania, USA; was buried , Holy Sepulchre Cemetery, Cheltenham, Montgomery Co., Pennsylvania, USA. Patricia Anne Doyle was born 3 Dec 1935, Philadelphia, Philadelphia Co., Pennsylvania, USA; died 16 Feb 2007, Burlington Co., New Jersey, USA. Mary Ellen Doyle was born 7 Jan 1937, Philadelphia, Philadelphia Co., Pennsylvania, USA; died 13 Oct 1991. William Dennis Doyle was born 20 Oct 1937, Philadelphia, Philadelphia Co., Pennsylvania, USA; died 14 Jan 1992. Maureen Doyle was born 22 Nov 1942; died 16 Jan 2013, Philadelphia Co., Pennsylvania, USA.